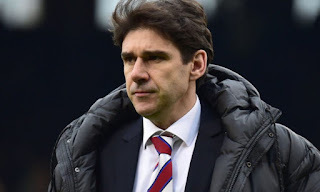 Interesting developments have arisen at Ibrox following Nottingham Forest manager Aitor Karanka’s defensive blow which has seen stalwart and former England international Michael Dawson ruled out with a potentially serious injury and the City Ground boss admit recalling on-loan at Ibrox Joe Worrall has become a priority. Dawson’s untimely injury could see the former Tottenham man out for the rest of the season, and Karanka is looking at the terms of Worrall’s loan at Ibrox to find a clause for recall. “I do not know if we can recall him. I need to check what the terms of the contract are." Worrall has admitted already that he sees his future in England with his parent club, and he won’t have been happy at not making the XI on Sunday during the epic against Hearts, with the previously-first choice CB also consigned to just one start in the past three matches in all competitions. So if there are grounds for a recall in January, it seems pretty apparent that Worrall would take this chance to seize his place in the Forest first team with both hands without a second thought frankly. And we suppose he’s been honest from the off that he didn’t see his future being at Rangers – we remain critical of just how blunt he was, but equally he will consider that his own career comes first and he’s doing Rangers a favour as much as we are doing him one. And he was extremely impressive against Villarreal which helped secure the critical point for Steven Gerrard’s men too. If Dawson’s injury does turn out severe, and there is a clause for a January Worrall return, it’s clear Gerrard will have to secure another CB next month. Blue Bear I want him to stay mate I'm only repeating a conversation I had with a few guys in the Highlander pub. Back in tomorrow but if I do hear anything else I will keep it to myself as you don't want to be in the know thats fine it's just if it happens you can't say you didn't hear of it. That's me rant over. They are after the RB Leipzig manager and Gerrards ambitions are bigger than Southampton. Let him go, if that's what he wants. Buy Him a Bus Ticket! Here we go again Stevo. Iorfa? Tafazoli? Where do you get to see these players? What are their strengths and what will they bring to Rangers? To be fair Worrall sees his near term future at Forest and there is absolutely nothing wrong with that. If he thinks there is an opportunity to claim his first team place back and wants to grab it then we shouldn't stand in his way. An unhappy or unsettled player is no use to us. And it doesn't do us any harm to be seen to treating loan players fairly.